The Soyuz 2-1A launcher soared off its launch pad at 2:07 UTC and successfully completed its part in the mission to send the Fregat upper stage on a five-and-a-half-hour mission targeting two distinctly different orbits for the deployment of two Russian Kanopus Earth-imaging satellites and nine Micro & CubeSats from the U.S. and Germany. 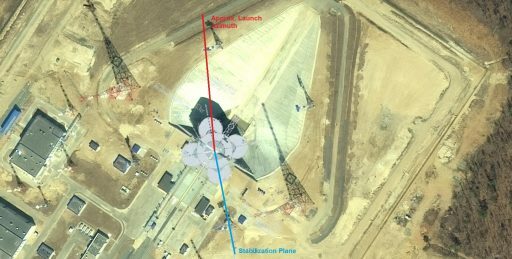 Roscosmos confirmed the Kanopus-V No. 3 and 4 satellites received a smooth ride and were separated into their target orbit while Fregat headed on to lift the secondary payloads into a slightly higher orbit with separation planned two and a half hours after launch. 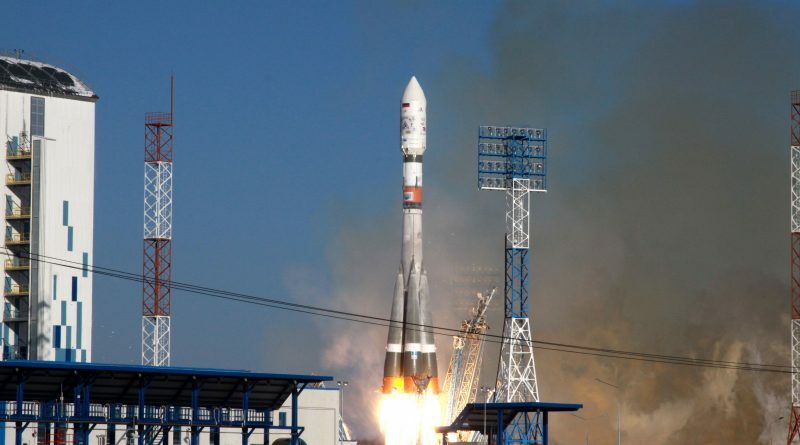 Roscosmos later confirmed the successful deployment of the secondary passengers and independent tracking data confirmed nominal orbital parameters. 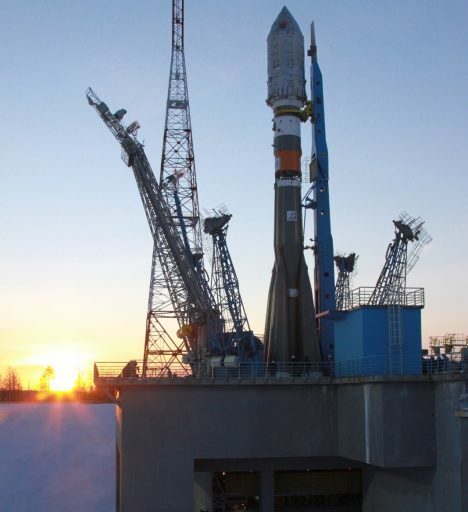 Opening the reign of Russian space launches for 2018, Thursday’s mission is hoped to ring in a busy year for the Russians who could be performing north of two dozen orbital launches if the current manifest stands. 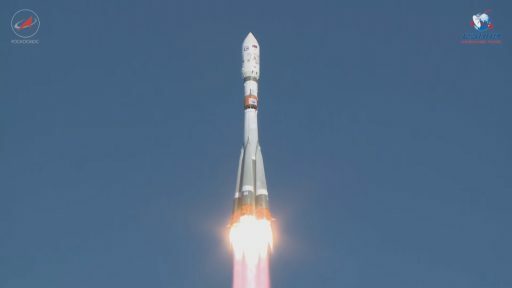 Soyuz in particular will be looking at a busy year, supporting the International Space Station with four crewed launches and three Progress cargo flights while also lifting a variety of other satellites including Russian military and civilian satellites, the first launches for the OneWeb Internet Constellation and an unusual Geostationary Transfer mission from the Vostochny Cosmodrome. Russia’s Proton heavy-lift workhorse is looking at another year of re-building with only six missions on its current 2018 manifest, half of which still have the potential of slipping into 2019 due to payload-related issues. The firm missions lined up for Proton are the Blagovest communications satellite for the Russian Ministry of Defence, the Electro-L No. 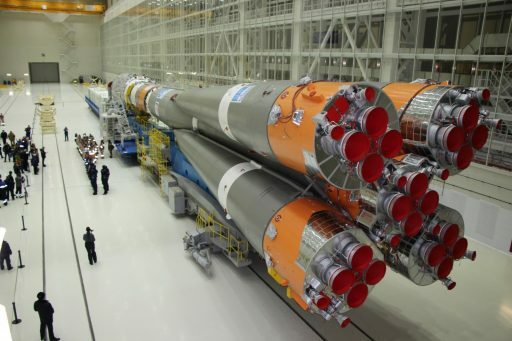 3 weather satellite and a classified payload for the Russian MOD while Spektr-RG and the Nauka ISS modules still have question marks behind their launch schedules. Efforts toward Zenit’s resurrection into active service have been fruitful so far and 2018 is expected to see at least one more Zenit mission from Baikonur while the medium-lift Rockot will likely head into retirement by the end of the year. 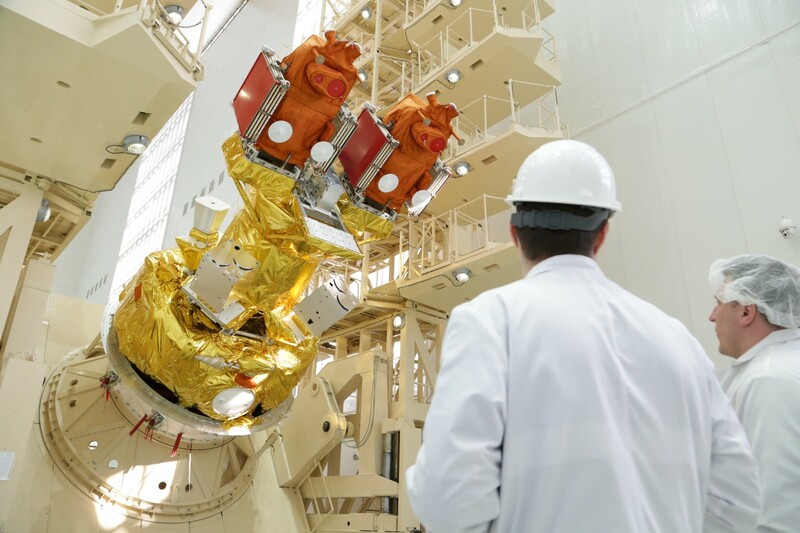 Ramping up its 2018 campaign, Russia lined up an important mission first – returning the Soyuz/Fregat combination to flight after a November 2017 failure on the second-ever mission from Vostochny. Lifting off on November 28, all appeared to go well while the Soyuz 2-1B rocket was in operation, sending the Fregat-M upper stage on its way to execute a very complex mission targeting five different orbits to dispatch the Meteor-M 2-1 weather satellite and 18 international rideshare passengers of different sizes. As Fregat headed out of communications coverage, Russian teams were expecting the separated Meteor-M and the Fregat upper stage to re-appear a little over an hour after launch after completing their first orbit around Earth. 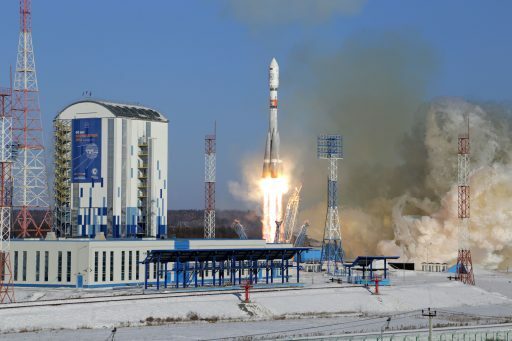 But neither was heard from ever again as Fregat fell victim to a previously unknown software problem that caused it to spin out of control immediately after separation from the Soyuz booster and re-enter the atmosphere in the night skies near Iceland. The root cause of the mishap was discovered rather quickly in a peculiarity of the onboard navigation system of Fregat which is at a ten-degree offset to the reference plane used by Soyuz. Only at the Vostochny Cosmodrome would the geographical orientation of the launch pad cause a roll requirement in excess of 170 degrees for the Soyuz to enter its stabilized ascent orientation, taking Fregat’s inertial platform to a value over 180°. During the initialization process, both guidance software packages are programmed to move their inertial sensors back to a zero position along the shortest route – taking the Soyuz back to 0° while Fregat (which had crossed 180°) completed one full revolution and ended up at 360°. This would not have been a problem if Fregat recognized the 360 setting to be the same as 0°, but, when separating from Soyuz, the upper stage was working on the erroneous notion that it had to complete a full revolution around its roll axis to reach the correct attitude. The ensuing re-orientation maneuver overwhelmed a subset of its gyroscopes, causing Fregat to fully lose its inertial frame and point its engine toward the wrong direction, shortening its sub-orbital arc instead of boosting the stack into orbit. 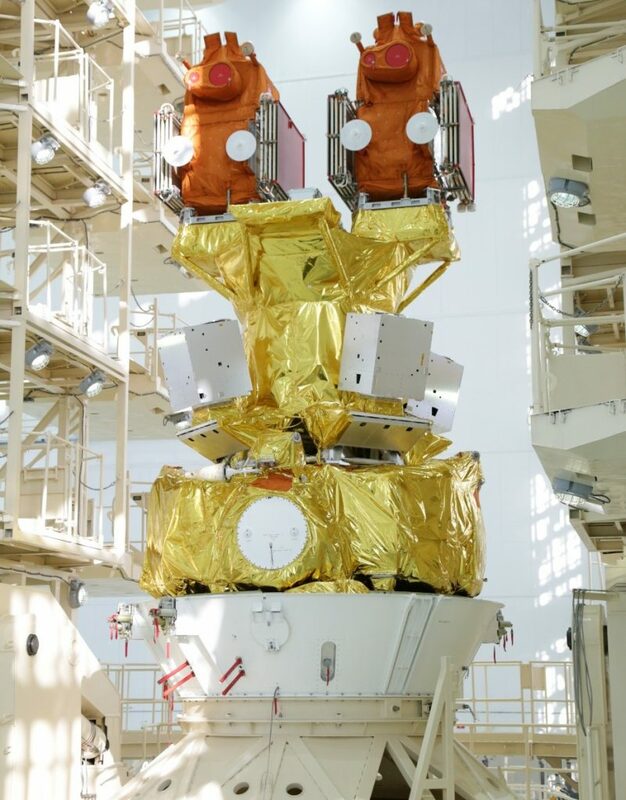 Since corrective action required after the mishap only involved modification of Fregat’s flight software and improving pre-launch validation of the flight program, Soyuz and Fregat could swiftly move back into a launch posture – only encountering a one-month slip to the Kanopus mission. The main passengers of Thursday’s Soyuz mission were the third and fourth satellites in Russia’s Kanopus-V remote-sensing constellation tasked with environmental monitoring, mapping, man-made & natural disaster detection & management, agricultural monitoring and fire detection. Kanopus-V employs small satellites to complement the much larger Resurs-P imaging-satellites capable of collecting high-resolution imagery for civilian use while the Kanopus constellation delivers rapid revisit capability at moderate resolution. Each weighing in at 490 Kilograms, the Kanopus-V No. 3 and 4 satellites are mostly identical to the Kanopus-V No. 1 prototype satellite launched back in 2012. They are also joining the Kanopus V-IK satellite that uses the Kanopus baseline platform and instrumentation but adds a dedicated infrared instrument for global fire and hot spot detection. The regular Kanopus-V satellites are outfitted with two imaging instruments, one collecting panchromatic black-and-white images at a ground resolution of 2.1 meters, the other operating in four wavelength bands to deliver full-color and near-infrared imagery at a resolution of 10.5 meters, covering a 23-Kilometer ground swath. Another two Kanopus satellites are targeting launch later this year to expand the operational constellation to four satellites in two different orbital planes plus the Kanopus V-IK fire hunter. 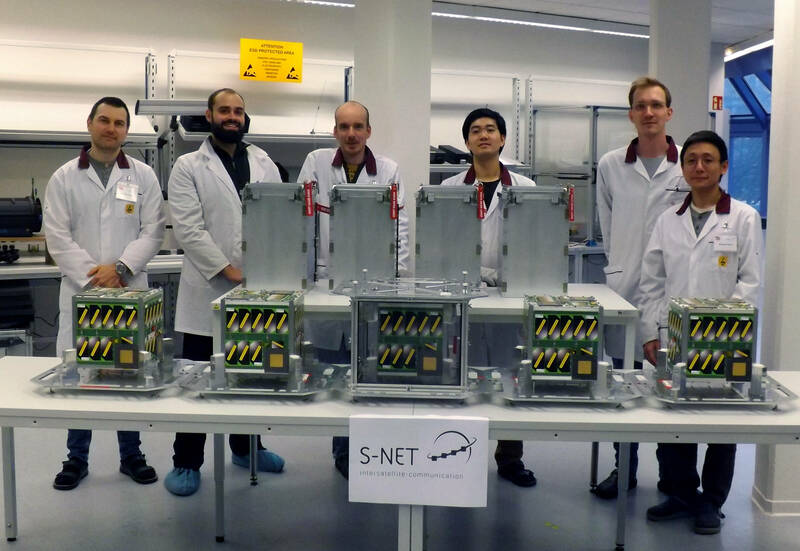 Loaded into MicroSatellite and CubeSat deployment canisters installed on Fregat were four S-NET MicroSats of TU Berlin, four Lemur-2 CubeSats of Spire Global and the D-Star ONE v1.1 Phoenix CubeSat of German Orbital Systems. S-NET sets out to complete a demonstration of a new type of S-Band inter-satellite and space-to-ground communications system that could be the solution for the operation and management of future satellite constellations with dozens or even hundreds of members. The satellites, cubical in shape with a side length of 24 centimeters, will drift apart over the course of their mission and test out different communication modes including multi-hop data transfer between satellites and ground stations and vice versa. S-Link, the primary payload of the S-NET satellites, is a miniaturized S-Band transceiver developed by TU Berlin and IQ Wireless, capable of a 100 kbps cross-link between constellation members and 1 Mbps for downlink – allowing one system to double as inter-satellite communications system and data downlink terminal (eliminating the mass and volume concerns of needing two systems). If proven feasible, S-Link could be further improved for operational use in an autonomously managed satellite constellation. The four Lemurs on Thursday’s Soyuz mission were the 74th through 77th Lemur-2 CubeSats launch by Spire Global, currently operating the second-largest CubeSat constellation. The Lemurs are outfitted with a pair of payloads for the collection of atmospheric profiles for use in operational meteorology and a ship-tracking payload captures Automated Identification System messages for the creation of global ship-tracking maps at high refresh rate. D-Star ONE v1.1 Phoenix is a re-build of the original D-Star ONE lost as one of the rideshare payloads of the November 28 mission. The project was called Phoenix as the embodiment of rebirth and renewal: in case of D-Star One, it took only 44 days for Phoenix to rise from the ashes as the German Orbital Systems team worked tirelessly after the failure to finish assembly & testing of the satellite by January 10 to take advantage of a free launch slot offered by Glavkosmos, the company offering Soyuz rideshare opportunities on the commercial market. According to the company, D-Star One is the first privately-owned CubeSat from Germany to be launched to orbit and the first commercial CubeSat using D-star communications technology. It will employ four identical D-Star radio modules operating in half-duplex mode – two modules are used for satellite operations while the other two are available to the radio amateur community. Braving temperatures of well below -20°C, Soyuz lifted off at precisely 2:07:18.130 UTC when the thrust from its four boosters and core stage overcame counterweights to mark the start of the rocket’s climb into orbit. Rising into crystal clear skies with a thrust of 420 metric-ton-force, Soyuz quickly executed its roll maneuver and pitched over to begin heading downrange on a launch azimuth taking it almost straight north toward a near-polar orbit. Painting a line of condensation in the blue skies over Vostochny, Soyuz passed Maximum Dynamic Pressure around the one-minute mark into the flight. The four boosters helped accelerate the vehicle to over 1.5 Kilometers per second, shutting down their RD-107A engines one minute and 58 seconds into the flight after each burned through 39,600 Kilograms of Oxygen and Kerosene. Upon shutdown, the 19.6-meter long boosters were jettisoned and swung outward, away from the vehicle, to ultimately head for an impact 360 Kilometers from the launch site. Soyuz powered into space relying on its 102-metric-ton-force core stage alone, splitting open the payload fairing three minutes and 48 seconds into the flight when departing the dense layers of Earth’s atmosphere. Finishing its burn at T+4 minutes and 46 seconds, the Core Stage had consumed over 91 metric tons of propellant and departed the vehicle in the typical hot-staging sequence with the RD-0110 on the third stage igniting moments before the pyrotechnic stage separation system was fired. Real time status updates from the Launch Team at Vostochny reported good performance of the third stage as it powered uphill with a thrust of 30,400 Kilogram-force to accelerate Soyuz to near-orbital speed. 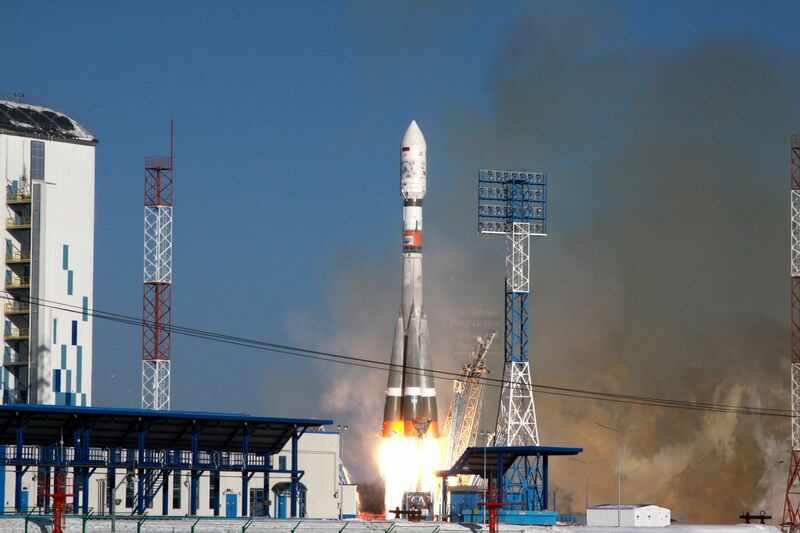 The Block I stage shut down its engine eight minutes and 46 seconds after liftoff and the successful separation of Fregat was confirmed by the Launch Team – marking launch success for the Soyuz 2-1A launch vehicle that had done its job in flawless fashion. For the hypergolic-fueled Fregat stage, separation was the beginning of nearly five hours of active flight, starting with an immediate burn of its 2,000-Kilogram-force S5.92 engine to transition the stack from a sub-orbital arc into a stable orbit. Fregat flew in its ‘M’ configuration on Thursday with extended tanks to hold 5,250 Kilograms of self-igniting UDMH & NTO propellants expended during a total of seven main engine burns in a complex up-down flight profile (only four burns were planned during the primary mission with the remaining maneuvers dedicated to orbit-lowering and deorbit). Achieving an initial orbit, Fregat was to coast for half a lap around the planet to reach the high-point of its Parking Orbit so that an 85-second burn at T+55 minutes could circularize the orbit near 500 Kilometers, 97.44° for separation of the two Kanopus satellites at T+59 and T+65 minutes. Successful separation of the No. 3 & 4 satellites was confirmed by Roscosmos when Fregat was back in range of ground stations, entering the second phase of its mission to deliver the secondary payloads via a co-elliptic orbit-raising operation through a pair of engine burns of 67 and 66 seconds at T+96 and T+139 minutes, aiming for an orbit of 564 by 567 Kilometers, 97.7°. The four S-Net satellites were to depart the vehicle via high-precision deployers at ten-second intervals two hours and 25 minutes into the flight in order to set up the proper drift rate between the constellation members for testing of the communications system as the geometry between the satellites evolves. Separation of the five CubeSats was planned four minutes later with confirmation of spacecraft status expected over the course of the day as the satellites check in with their ground stations. Thursday’s flight was to finish with a pair of orbit-lowering maneuvers by the Fregat upper stage followed by a final deorbit burn four hours and 51 minutes after liftoff to set up for a targeted destructive re-entry over the Pacific Ocean.